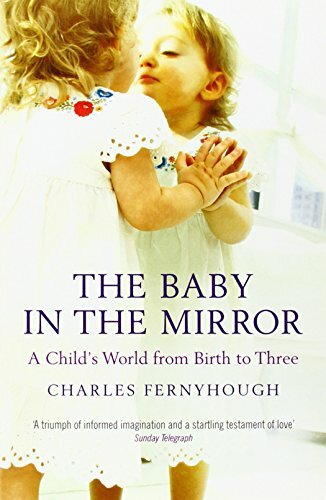 Charles Fernyhough is a writer and professor of psychology at Durham University in the UK, where he conducts research in inner speech, hallucinations, and child development. 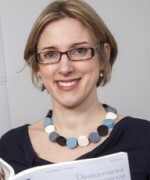 He directs Hearing the Voice, an interdisciplinary project on the experience of hearing voices, based at Durham University and supported by a Strategic Award from the Wellcome Trust. 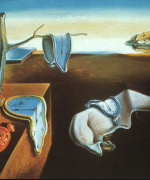 What do we mean, when we talk about ‘streams of consciousness’? 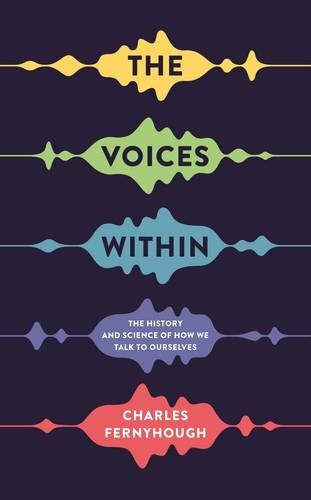 My book, The Voices Within, is about a phenomenon that many people report: that they are producing, participating, and listening to an internal conversation, or an internal monologue, a verbal stream of consciousness. Not everybody reports this, some people’s thinking seems to be very highly visual, or it doesn’t have any sensory elements. But many people identify with this idea that we are talking to ourselves a lot of the time. We are either talking to ourselves completely silently in our heads, or sometimes we talk to ourselves out loud. There are good reasons for thinking that these are all part of the same phenomenon. This is a really hard thing to study scientifically. You are talking about somebody’s internal private conversations. What changed in the last 20 years or so is that we have better techniques and better methods both psychological and neuroscientific for getting at it. You have written two novels, and there are three novels on this list. What is the relationship between the novelistic voice and the inner voices you are describing? Try to avoid the term ‘inner voice.’ ‘Inner speech’ is the right term. For a start, it is not a single voice; it’s voices. I think there are voices in our consciousness. In relation to literature, the term voice gets used in this vast variety of ways. 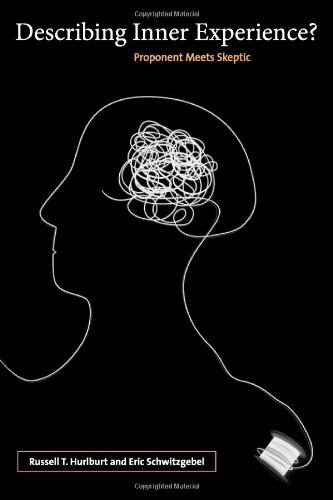 When writers like Joyce or Woolf try to portray someone in speech — through internal monologue or stream of consciousness — there are absolutely connections between what psychologists study and what these writers are bringing to life on the page. But there’s another way in which internal voice is used in relation to writing. If you talk to a writer about finding his or her voice, you’re going to get a writer’s standard answer about where their creativity comes from. But if you say to writers, ‘Do you hear the voices of your characters? Do they actually speak? Do you hear them?’ and then you say to them, ‘Tell me exactly what that is like,’ then you can get into something much more specific, and I think much more interesting. That’s what we’ve been trying to do in our research. Okay, it is a cliché that writers hear the voices of their characters, let’s try to find out: do they really hear the voices of their characters, and if so, what is that like? If Joyce, for example, is trying to depict Leopold Bloom in a monologue, then—if he is successful in that task—when you read Ulysses you’re going to hear that voice resonating in your head. And so, another big part of this project for me was thinking about what effects writers have on their readers. When we read, do we hear these voices activated in our heads? There’s some fascinating science showing that yes, these voices are activated when we read, and writers play all sort of games with them. This is one of the main ways in which they create their effects and give us the pleasure we get from reading. So these voices become part of us? You can take on these fictional inner dialogues and you can become someone else. You can enter into the mind of Stephen Dedalus, for example. You can really be him, you can think his thoughts, and you can go to the places that he goes to. 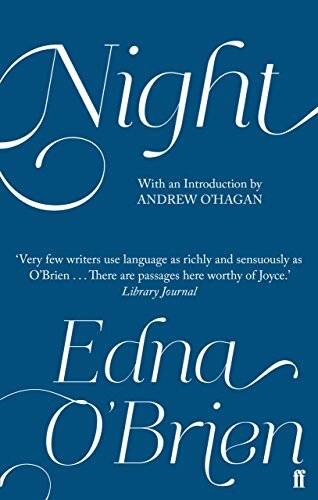 You can become Leopold Bloom at the end of Ulysses, you can become Clarissa Dalloway, you can become Mary Hooligan lying in her bed in Edna O’Brien’s Night. You can become history, but then you can come back to who you are. And it is a cliché that writers give us a way of being other than we are, they take us into different worlds. Of course they do, and they do that in all sorts of interesting ways. One of the ways they do it is by filling our heads with voices. Why is Ulysses (1922) on your list? It is seen as the archetypal stream of consciousness novel. With more ambition than possibly any other writer, Joyce tries to get us into the inner monologues and dialogues of Leopold Bloom, Molly Bloom, and Stephen Dedalus. He didn’t invent the technique. 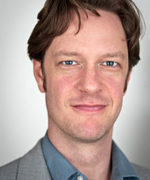 He credited the French writer Édouard Dujardin in a novel from the 1880s as starting to explore this technique, but others have argued that the stream of consciousness style started much earlier than that. 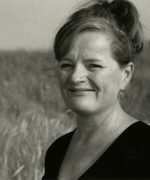 In fact, the term ‘stream of consciousness’ appeared in literature for the first time in a discussion of the British novelist Dorothy Richardson’s work. So Joyce didn’t invent it, but he makes it flourish in the most extraordinary way. I’m particularly interested in how he depicts inner speech. 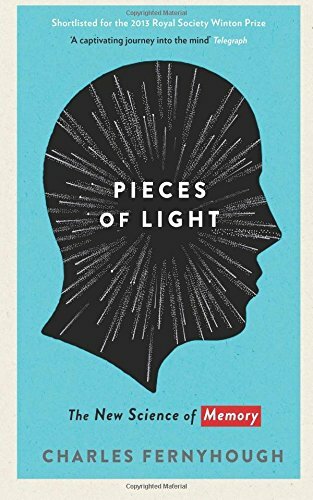 He gives us a stream of consciousness that doesn’t seem like a standard novelistic narrative. He is trying to capture the particular qualities you would notice if you listened to someone else’s inner speech. It aligns beautifully with the psychological work on how inner speech develops that inspired me. For example, one theory posits that inner speech develops out of social dialogues: it should have a dialogic quality. When you’re talking to yourself, it really should be like a conversation with yourself. You can see this in passages of Leopold Bloom in a monologue. He is actually in dialogue. He is talking to himself, asking himself questions and then answering them; making statements and then commenting on them. Another feature of inner speech is called abbreviation. When you are sitting in your living room late at night and you hear a loud crash from outside, you don’t say to yourself, ‘The cat has knocked over the dustbin,’ you just say to yourself, ‘the cat,’ or, ‘the dustbin.’ That way you abbreviate what you are thinking to yourself for all sorts of reasons, including the fact that you already know much of what the topic of conversation is, so you can cut it down like that. And again, Joyce depicts this absolutely beautifully, particularly in Leopold Bloom’s inner dialogue. This seems like an attempt towards an accurate depiction of how we experience our minds. 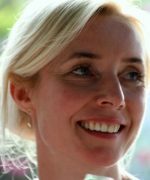 If you look at previous novels employing techniques like free indirect discourse, or even just first-person narration, could you say the history of the novel is an attempt to achieve this accuracy? I think there’s certainly a historical story. I think you can make that case. What’s interesting is that some people, possibly quite a lot of people, reject the Joycean view of inner dialogue. 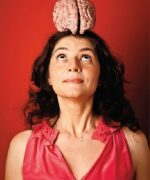 They say, ‘Actually, I don’t think my inner speech is like that.’ And then, of course, you get into the fascinating scientific questions of how we can find out what people’s inner speech is like. I think it is an open question and, in fact, when we come to discuss the other two novels, the reasons for choosing these three novels is so illustrative that these three writers are trying to do something similar, but going about it in quite different ways. Does that speak to the individual nature of inner speech, or to difference in writing styles? Well, writers certainly are very different, thank God. I think it is also worth pointing out that even if Joyce was trying to depict inner speech as it really is, he must also have been aware that that’s an impossible task. Not least because if he had really been able to depict Leopold Bloom’s inner speech, it probably would have been completely incomprehensible. If I could listen into your inner speech, I really wouldn’t make any sense of it, I’m sure. 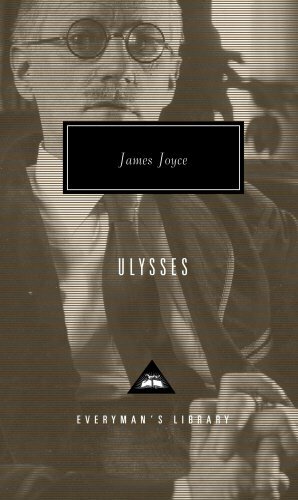 What Joyce gives us is something that is reconstituted or represented in a way that makes it an enjoyable reading experience. But, of course, even within Ulysses, you get this variability. Molly Bloom’s inner speech is really quite different to Leopold’s, isn’t it? Different people will have different styles of talking to themselves and, of course, writers will have different ways of approaching it. And yet, the novel is the artistic form which comes closest to trying to record it. It is hard to see that any other art form tries to do this particular thing, and in the great modernist novelists of the early 20th century that this experiment comes to a high. Let’s talk about the next book, Russell T. Hurlburt’s and Eric Schwitzgebel’s Describing Inner Experience? (2007). I had the privilege of working with Russell Hurlburt in the last few years. 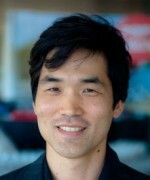 He is one of the most extraordinary scientists I’ve ever worked with. He is somebody who has swum against the stream for decades. He has tried to describe inner experience in a way many people think is impossible, while trends in psychology and neuroscience have been going in the opposite direction. He’s done it by using a method he calls ‘descriptive experience sampling,’ which works in a beautifully simple way: you carry this little beeper around with you and wear an earpiece, and every so often the beeper goes off. You report what was in your experience just before the beep went off. It is a really hard thing to do. People are rubbish at it when they first do it. But after about 4 or 5 days, most people are really good. I’ve seen this plenty of times. On day 1 people pack in all these preconceptions and myths, self-mythologies, and just give them back to the interviewer, and then the interviewer says, ‘No, I don’t want your preconceptions or theories about what you were thinking. I want the best possible description of that tiny moment of experience, not the moment before it, not the moment after it. Just that moment.’ We did a study with this method in Berlin a couple of years ago, and we’ve been publishing the data including the first ever integration with MRI. We were able to look at what people were reporting using this method and map it onto their brain activation. This is one of the most interesting books you can read on the nature of consciousness. It has an extraordinary structure. 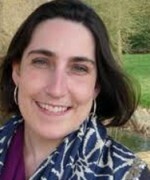 It is the story of one woman and her sampling through descriptive experience sampling over the course of five days, going into details about what she said about these moment of experience, how she got better at doing the method and at reporting on her experience, with fascinating scientific and philosophical asides drilling down into some of the phenomena that she describes. But, most importantly, the book is set up as a dialogue between two people: Russ, who is the inventor of this method and the champion of this approach, and Eric Schwitzgebel, who is a philosopher, and who has become well-known as a sceptic about introspection. Neither quite wins the other one around, but on the way, they have this extraordinary discussion: beautifully written, completely compelling and insightful. Mrs Dalloway by Virginia Woolf. This is your second modernist novel, published in 1925. Why is it on the list? It is one of the books that comes to mind when people talk about the stream of consciousness novel. I wanted to put it up against Ulysses because it is such an interesting comparison and contrast. You’ve got a similar sort of structure: this high society woman Clarissa Dalloway preparing for a party. All this book really does is follow her and some other characters wandering through London over the course of one day. It is clearly responding to Ulysses with that structure, but the book reads very very differently. One interesting difference I find is that Joyce’s approach is to get into a perspective and master it. I find it very satisfying as a reader. I’m there, I’m Stephen Dedalus for that period of time. Woolf is interested in the intersections between minds. She’s trying to show how minds bleed into each other. Joyce is more ambitious, I think, in just depicting the contents of consciousness, whereas Woolf hedges around more by using phrases like he thought, she thought, more old-fashioned constructions. But what Woolf gives us that Joyce doesn’t is psychopathology. The character Septimus Smith is traumatized by his experiences in the Great War, particularly the death of his friend, Evans, and you see Smith hallucinating. For example, seeing a Skye Terrier turning into a man at one point. 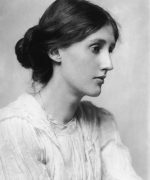 I have a particular interest in the experience of hearing voices or auditory verbal hallucinations, and Woolf was somebody who actually had these experiences, wrote about them, and cited them, tragically, in her suicide letter. Septimus Smith hears the birds singing in Greek at one point and the same thing happened to Woolf. It is an experience that she reported herself. 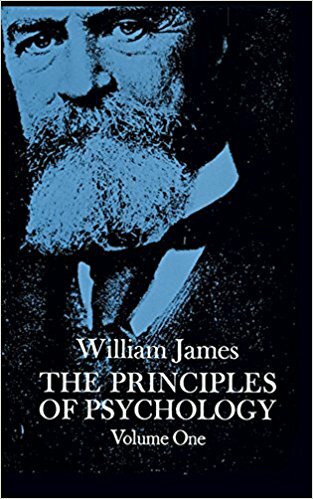 Next is William James’s Principles of Psychology, published in 1890. James coined the term ‘stream of consciousness.’ He had fascinating things to say about how our experience works in that stream-like manner, and how different parts of our experience come to the foreground, and then drift into the background as we move from thought to thought. He doesn’t actually use the term ‘stream of consciousness’ that much—he uses ‘stream of thought’ more—but he is credited with coining the term. He is an extraordinary psychologist and philosopher. He is probably the most influential psychologist of all time, if you look at the different streams of thoughts he influenced, unless we count Freud as a psychologist. As an empirical psychologist, thinking about cognitive mechanism, he is incomparable. He is not read as much as he should be. Every psychology student should read James. He is so big hearted, as a scientist. 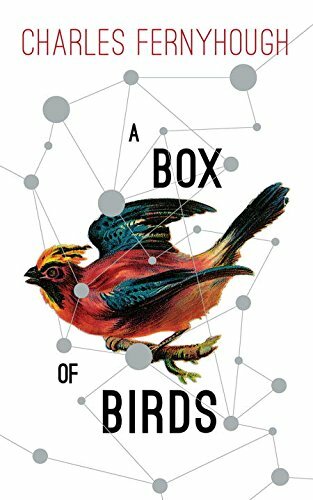 He writes about the mechanisms of the stream of consciousness in a beautiful, engaging, literary, rich way, but he doesn’t dismiss other aspects of experience. 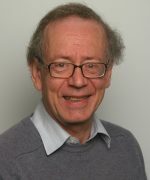 His famous work is on varieties of religious experience. Many people these days would just dismiss that as not something we should be studying as psychologists. 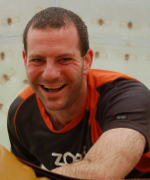 James takes religious experiences seriously, as he takes a whole range of other experiences seriously. He also had very important things to say about the methodology of how we study the mind. It is an extraordinary work and compulsory reading for psychology students, even though this book is well over a hundred years old. Your last book is Edna O’Brien’s Night (1972). Why did you choose it? Edna O’Brien is one of the greatest living writers in the language, and this extraordinary short novel from 1972 was out of print for a long time. It was republished a couple of years ago. I’d want to pick it in any case, but in comparison with Ulysses and Mrs Dalloway it gives us a completely different approach to depicting the stream of consciousness. There’s nothing that could be more stream of consciousness than this novel. You’ve got this woman, Mary Hooligan, who’s lying alone in a four-poster bed. She’s just taken a pill to help her sleep, the curtains are drawn, she is alone with her thoughts. The way she ranges, the way she travels internally over the period of time in the novel, is incredible. With Joyce you’ve got this attempt to depict what someone’s inner speech would sound like if you could put a microphone in their head. 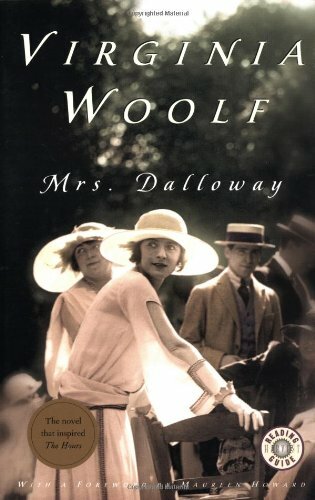 With Mrs Dalloway you’ve got this attempt to orchestrate the multiplicity of minds, minds in interaction. With Edna O’Brien, you’ve got more of a journey through memory and that’s it. 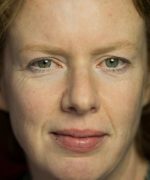 What Mary Hooligan’s stream of consciousness involves is these extraordinary enfolded narratives and memories. She is thinking about her childhood in the town of Coose. Tiny things trigger new memories. At one point, she sees a feather on the bed and that triggers connections. On another occasion she is dreaming of custard. She is remembering her mother and her funeral and portraying the funeral as a rather comic affair. 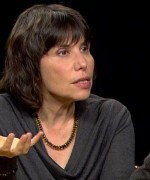 She is remembering all sorts of sexual encounters, which are bracingly honest and explicit. It is extraordinarily sexually honest for the period. And she is just revelling in consciousness, in memory, in language, in the ability of the human mind to seek connections in the darkness, connections with other people, but also to seek its own meaning, to seek to draw the thread of a life together. I had something clear to ask but now it’s slipped away. Maybe that’s indicative of how inner speech works. Is there an antagonism between what happens when we’re trying to say something articulate and inner speech? Russ has a term for it; he calls it ‘unsymbolized thinking.’ It is a kind of thinking that happens without any symbols at all. It doesn’t have words. And I wonder whether some of that stuff is actually your inner speech that has been so thoroughly condensed and abbreviated, like how Joyce is depicting Bloom in a speech that’s stripped down, telegraphic, condensed, compressed. Maybe when that process goes to its ultimate end you end up with something that is in speech, but just about everything in its language has been stripped away from it. I don’t really know what that thing is. I don’t know whether that is language. A psychologist would give one answer, a philosopher would give another. Maybe what you end up with then is just another kind of thinking, another kind of thought. These are really fascinating questions, but I do think we need to ask them, and literature gives us a really interesting way in.